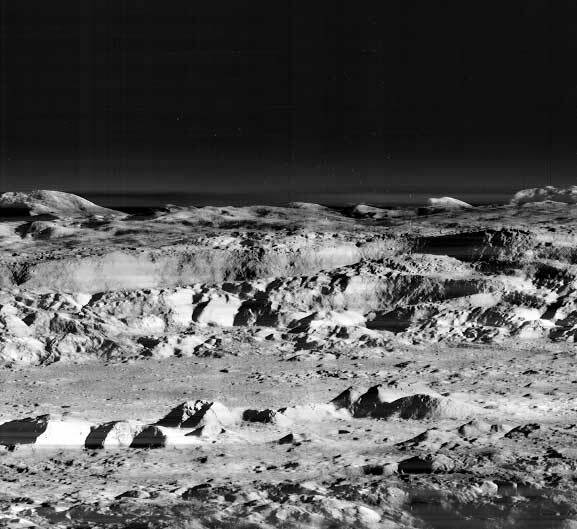 NASA scientists believe they may have found the final resting place of Lunar Orbiter 2 which achieve lasting fame when it sent back a stunning oblique image of the Copernicus crater in 1967 (above), dubbed "the picture of the century" by news media at the time, before crashlanding on the far side of the Moon. The information was discovered in new imagery from the Lunar Reconnaissance Orbiter (LRO), sent up to circle the Moon under the Bush administration's plan for a manned return to our satellite body as a precursor to Mars missions. The LRO was intended to map the lunar surface in unprecedented detail, perhaps discovering useful ice deposits or crater-rim landing sites where solar power would be available year round. All of which became a dead issue when Congress refused to fund the ambitious Moonbase plans and president Obama killed them. 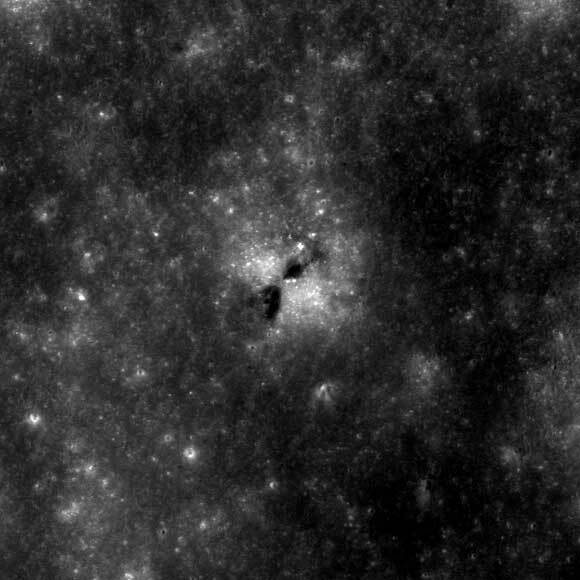 But now, NASA boffins operating the LRO believe they may have discovered the crash site of a previous Moon-recce craft called Lunar Orbiter 2. Lunar Orbiter 2 had a similar mission to the LRO, in that it was sent up to help with selection of landing sites for the Apollo moon missions. However the instrumentation of the day was far less sophisticated than the LRO's and as all students of space history will know the first landing – by Apollo 11 in 1969 – almost ended in disaster as the lunar module's autopilot tried to set it down in a dangerous field of boulders, forcing a terrifying manual intervention by Neil Armstrong and Buzz Aldrin when just 400 feet above the lunar surface. Later in 1967, its mission complete, the Orbiter was disposed of by commanding it to crashland on the lunar farside. Its exact resting place has never been known, but now the operators of the LROC have found what they believe is a tell-tale impact site just at the coordinates where the Orbiter should have come down. The LRO scientists are working on confirmation.